Coachseek is helping sports coaches get back to what they love. For too long coaches have had to suffer with rubbish software, excel and paper. 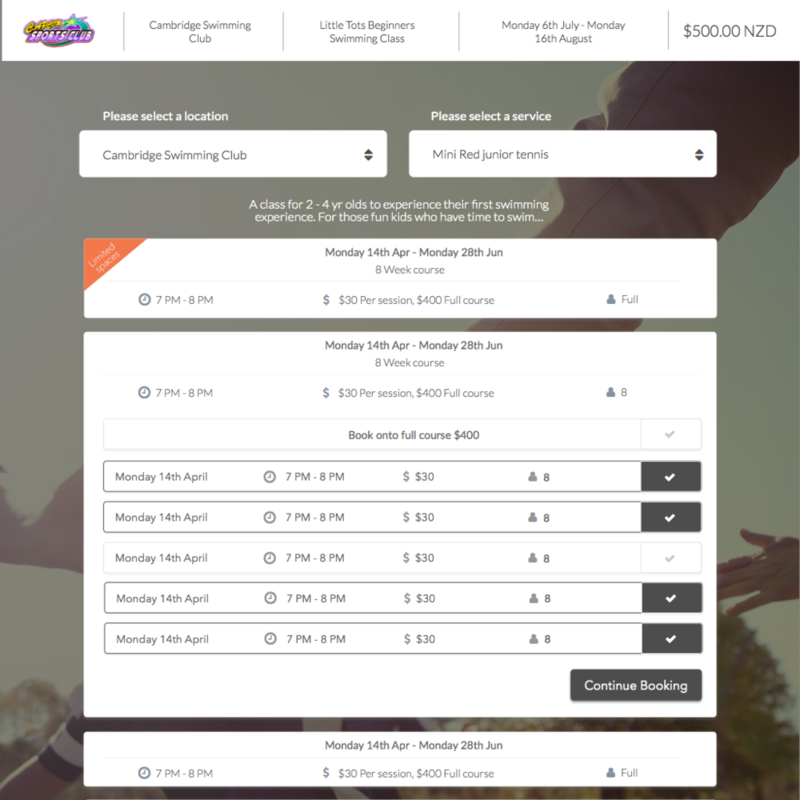 We have created an awesome tool that can be accessed from anywhere to help coaches schedule their time, take online bookings and grow their business! - Helping sport coaches get away from paper diaries and Excel. - Platform needed to be accessible anywhere, offices to sport fields. Bookings + payments needed to be automated. - Information was to be constantly updated, stored locally if no wifi/internet accessible. -- Design simplicity, user onboarding and adoption was key. - Small (5) and fully remote team for first 6 months. At Coachseek I was responsible for the full product design and product management. From UX to UI, working with three developers to create a fully functioning product used by people in over 5 different countries. Creating product spec documents along with the CTO, for developers to follow, was another main area of the job. - Adopted by sport coaches across 14 sports and nine countries. - Partnered with companies such as Sport NZ, Tennis Industry Association, PTR, SportPlan, Squash NZ, Tennis Ireland, Australian Professional Tennis Coaches Association, The Sports Agency & Tennis Europe. - Worked successfully in month long sprints. - Wore as many hats as possible, from product designer, marketing designer, part-time product manager to office wall painter. - Customizable online booking sites were well received by coaches and clients. UX map of MLP1-4 (minimum lovable product).